Nice and naughty. Cute and creepy. 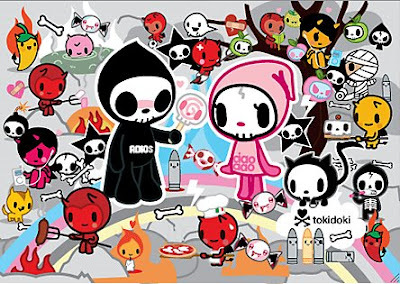 That's Tokidoki. 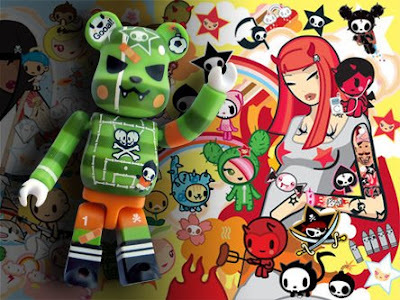 See the Tokidoki Soccer Bearbrick (with fangs, and a pirate symbol on its chest). Spot the gentle-looking Japanese girl (with red horns and funky tattoos). What else? Flying candy bats. Bullet buddies. And red-hot chili peppers from hell. Toy: Moofia's Mozarella, a machine gun-toting cow-girl. 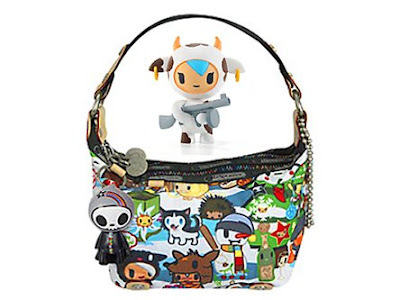 Tote: A skull head vinyl charm decorates a colorful Le Sportsac bag. 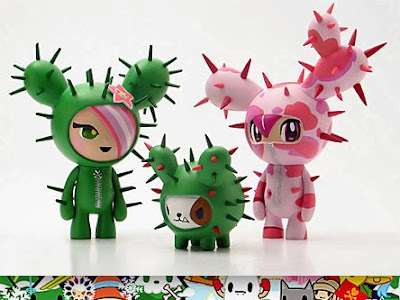 It seems that with Tokidoki, cute has become more cutting edge. 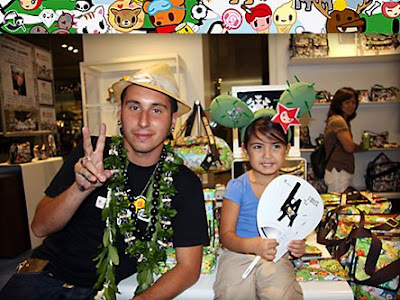 Simone Legno, the creative mind behind the extremely successful brand (above, left, at the Le Sportsac Store in Hawaii), says that "Tokidoki is a happy world. 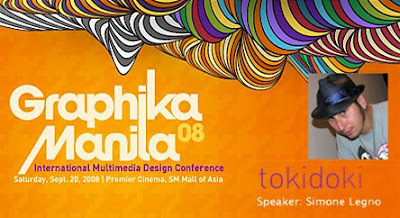 It is a cute, playful – pure yet provocative – and sophisticated world that I imagine, live in, and dream of." This is my new latest love in my collection. Ahhh...be@rbricks. Ariel, you've created a monster! Just wanted to stop by and wish you a happy Mid-Autumn Festival.